VMI - Vendor Managed Inventory Tracking | Assembly Fasteners, Inc.
An industrial valve manufacturer was struggling to align its network of more than 50 suppliers; each supplier differed in lead time, receiving time, and responsiveness, which left the manufacturer constantly sorting through disjointed paper trails and accounts payable work. 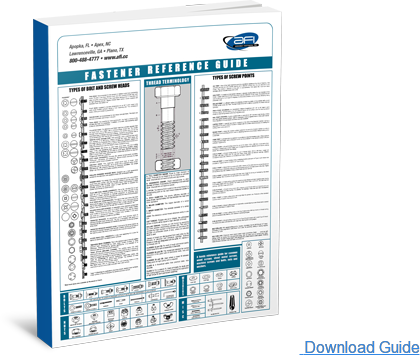 In order to solve these issues and consolidate all of the supplier information into one unified system, the manufacturer approached Assembly Fasteners Inc. (AFI) for a solution. With over 30 years of distribution service experience, AFI was able to suggest a Vendor Managed Inventory (VMI) partnership. Inventory can be a challenging component of running a business. If inventory levels are too high, then money and space tend to be wasted; if too low, sales opportunities disappear, and potential customers are lost. As a response to this challenge, many companies have decided to turn to vendor managed inventory (VMI) as an effective solution. Vendor managed inventory is a partnership between the client company and its vendor, wherein the vendor directly manages the inventory levels at the client's outlets, while the client provides up-to-date forecasting information to the vendor. For example, a retailer that sells hardwood flooring may collaborate with a local supplier. VMI would be implemented when the flooring vendor is willing to manage the inventory levels that are sent out to the retailer's outlets on a regular basis, based on close communication from the retailer with regard to sales forecasts, marketing promotions, and other considerations. Meanwhile, inventory that has already been purchased by the retailer will continue to be stored by the vendor until it is needed. VMI is a business arrangement that offers many benefits, both to the customer and the supplier. Removal of safety stock.Because of increased communication between the customer and vendor, there is less fear of long lead times for inventory replenishment. 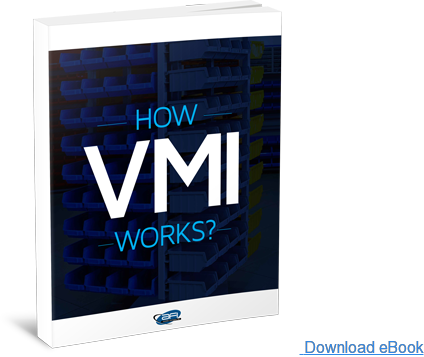 VMI and effective Just-in-Time inventory practices often mean safety stock can often be reduced or eliminated, allowing for more efficient use of customer storage space. Lower inventory levels. Along with the removal of safety stock, lower inventory levels in general cut back on purchasing and storage costs. Retailers and distributors may not have to devote as many resources to warehousing operations. Reduction in purchasing-related administrative costs.With the vendor doing most of the heavy lifting on the administrative end, the purchasing department can spend less time calculating and producing purchase orders. Easier forecasting.When the supplier has access to the customer's Point-of-Sale (POS) data, the supplier's forecasting department can obtain deeper and more accurate insights into its own company's production and distribution needs. Instead of merely relying on second-hand information obtained from the customer, this allows for a more stable approach to supplier forecasting. Clearer expectations and scalability.Along with more effective analysis of end-user purchasing patterns, VMI allows the supplier to prepare for upcoming promotional initiatives on the part of the customer. This ensures a smoother ebb and flow, as the vendor temporarily raises inventory levels to meet the customer's expected sales, and then lowers them again as the promotion period ends. Eliminates landed costs. The vendor is responsible for the cost of delivering the product to the designated site, eliminating the landed cost to the customer. Helps to cut costs.Because of this close collaboration, the supplier also is able to keep costs down by only carrying inventory levels that are commensurate with client demand. Effective forecasting also enables the vendor to carry less raw material inventory, and those savings can be passed on to the customer through lower overall pricing. There must be agreement on how information will be shared between the customer and the supplier. The process for giving and receiving information must be crystal clear on both sides, since unexpected spikes in end-user demand require quick adaptation from both parties. The two parties must clarify expectations. There should be a clear and transparent discussion of the desired objectives for both sides of the VMI partnership. Questions such as "How will VMI benefit both our companies in the long term?" and "What short term obstacles will we need to overcome?" should be answered at the outset. Both sides need to keep communication channels open—this is vitally important. For example, if the customer expects a spike in consumer demand, it should clearly communicate that to its supplier post haste. Likewise, if the supplier is updating its ordering software, it should keep the customer in the loop. As the above points demonstrate, there are many advantages to working within a VMI framework. Both the manufacturer and distributor greatly benefit from a well-executed VMI arrangement. Business risks are shared – and thus reduced – for each party, while at the same time both companies gain access to new markets. Vendor managed inventory fosters better communication between the vendor and the customer, and a greater depth of understanding into each company's operational processes. Furthermore, VMI allows for greater flexibility in meeting market demands, since adjustments to inventory levels can often be made in real-time. VMI often reduces, or even outright eliminates the need for emergency rush orders, saving time and money for both parties. VMI also allows companies to go paperless. Use of cloud technology makes record-keeping and data-sharing simple and easy. Companies are able to leave a greener carbon footprint by collaborating through such cutting-edge technologies. All in all, VMI is a much more streamlined process than traditional inventory management systems. 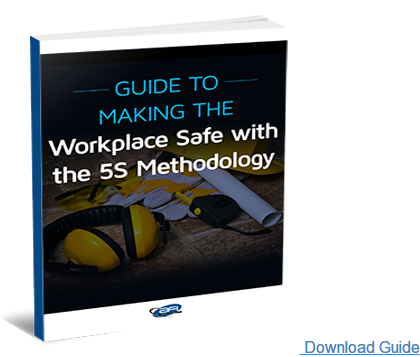 The customer's employees can spend more time on sales, and less time on manual inventory counts, while the suppliers are better able to manage production levels. With so many advantages offered by vendor managed inventory, it is understandable why many companies choose to implement this arrangement into their business plan. At AFI, we offer custom VMI solutions that can greatly benefit your company as well. For more information, please contact us today.